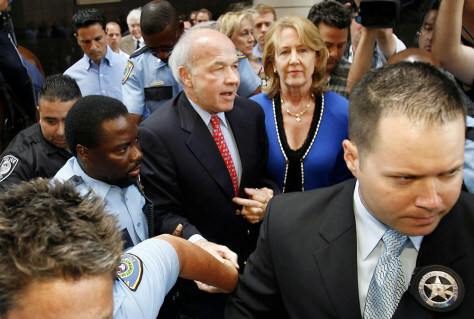 Kenneth Lay and his wife Linda leave the Bob Casey U.S. Courthouse after the Enron founder's fraud and conspiracy trial. The jury found Lay guilty on all counts, and Judge Sim Lake found him guilty on all counts in a separate banking trial.